Two weeks ago, Nike launched the first ever Nike Phantom Venom and a new colourway for the Phantom Vision, which was the start of the Game Over Pack. Now Nike is ready with the rest of the Game Over Pack that gives the Mercurial Series a stunning look. The Nike Game Over Pack is all about: Give me the ball and I’ll end the game mentality. 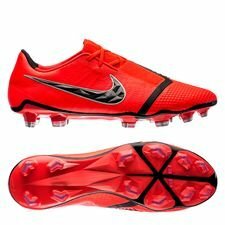 The new Nike football boots will make you the go to guy or girl, you’ll be the number one choice when the game needs an ending, you’ll become the Game Killer. The Game Over pack comes with a sharp and sleek look, which transforms you to a Game Killer in the same second that you put on the football boots. To Understand what a Gamer Killer is, then we must go through the 3 stages of Game Over. The first stage is called ‘the look’, and this is only something that the Game Killer possess. They know what to do and does what’s expected of them. It’s here that they select their prey and set up to execute the goal. The look prepares the Game Killers for the second stage: ‘the kill’. The goal has been set, the Game Killers have their plan ready, and it is now time to start the attack. The Game Killers will end the game without letting their opponent get a chance of doing anything, they end it the Game Killer way, which leads us to the last stage: ‘the euphoria’. This is the stage where the Game Killer, you, gets praised by all the fans, while you together celebrate the victory. This is the moment they’ve been waiting for and live to achieve. Become the Game Killer with the new Nike Game Over Pack. 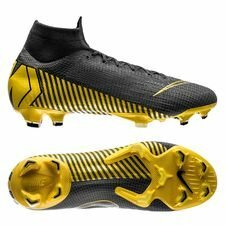 The Mercurial Vapor and Superfly will both be given a dark grey and yellow colourway, which makes one of the fastest boots in the game look even faster than before. The Mercurial boots are all about the details, as the knit construction on the upper fades from dark grey to a black collar, on the Superfly, giving the boot a more dynamic design. 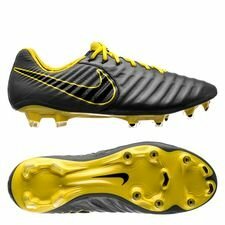 Nike has also added yellow pin stripes on the side, that starts from the Mercurial brandings on the heel. This makes us at the Unisport HQ think back on our City Pack collection, which was made in a similar design, and we can confirm that this is an awesome colour combo. 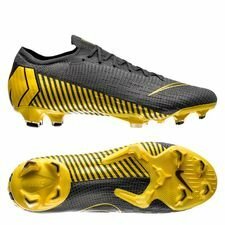 I can just imagine how people will stare at the Game Killers, while they explosively outrun every opponent on the pitch. 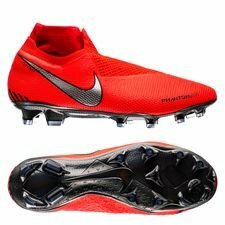 Expect some of the fastest and daring players, Ronaldo, Mbappé, Neymar Jr. and other Mercurial athletes to rock this colourway on the pitch the next couple of weeks. The Nike Tiempo Legend is still in the game, as Legends never will be forgotten, even if Nike has switched their focus to having 2 primary Series, Phantom and Mercurial. The Tiempo Legend will also get a new Game Over colourway, made with the same dark grey and yellow colourway. The Tiempo Legend is, as always, focusing on offering you style and comfortability, so you make it Game Over by using your style on the pitch. The Tiempo Legend will feature the yellow colours on the branding and on the soleplate, made completely yellow, which fits the comfort boot just perfect. I can imagine how Piqué and Sergio Ramos will act as road blocks in the defense, with the alarming yellow colour, stopping everything on their way towards their goal. We’ve already been introduced to the new Phantom Venom football boots and Phantom Vision colourway, which both were made with a red colourway. As mentioned earlier this is made to distinguish the Phantom boots from the Mercurial, so people can see what type of player that you are, when you control the ball in the game. If you’re the Kevin De Bruyne, Coutinho or Fran Kirby type of player then the Phantom Vision will allow you to cut defenses with your precise passes. But are you more a type of player that needs precision in your strike, then the Phantom Venom will be the boot to choose. Just look at how Kane, Icardi, Lewandowski and Alex Morgan scores the goals with ease in the Venom, if you need more persuasion. Are you up for the task to become then next Game Killer, then the Game Over pack is available at Unisport right now. Head over to our Nike football boots to find them all.